How Can Google Chrome Become More Popular? Fewer than 8% of people know what a browser is. Many confuse it with a search engine or a company. The majority of users do not know or care which browser they’re using. It’s simply an icon they click to access the web. Hardly anyone had heard of Chrome. 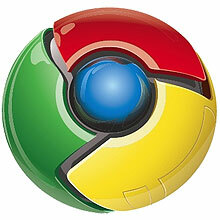 Chrome, the Google-branded web browser, has been available since September 2008. It’s known for its clean, minimalistic interface, quick rendering speed, anonymous browsing facilities, and high stability. Each tab is handled by a separate process, so a single page crash does not bring down the whole application. It’s undoubtedly a great browser and has gained a 2 – 5% market share within its first year. However, it’s difficult to determine how many non-technical users have been attracted to Chrome. Web developers certainly use it, but Google’s survey suggests that it’s yet to achieve mainstream awareness. Google — if you’re listening — here are my suggestions to increase Chrome’s adoption rate. “Chrome” is a clever and geeky name, but it means absolutely nothing to most people. I suspect few people in the IT industry understand the significance. Google has a history of naming applications after their function (docs, maps, email, etc. ), and their browser should be no exception, e.g. or even just “Google” since that’s the first page most users open. Do deals with PC manufacturers and software producers. Offer Chrome as an optional extra with related software, such as Google Desktop. Promote the browser on Google-owned websites. A Chrome download link is already shown for IE6/7 visitors to Google.com (not IE5/5.5 though? ), so the program could be extended to sites such as YouTube. Google needs to be careful with heavy-handed advertising, but a single opt-out click could apply across every site. Let’s cut the pretense. Google has one primary objective: to beat Microsoft and Internet Explorer. Many users have no reason to switch from IE, so Google should concentrate on persuading them that Chrome is easy to install, simpler, and faster to use. Security and stability are a bonus but, since so few IE users knowingly experience problems, those factors should not be part of the main marketing message. I’m not against Google improving the browser with features such as add-ons, but most users will never care about or use those facilities. If an option results in additional complexity (even an extra menu item), Google should seriously reconsider its implementation. Developers and power users already have Firefox and Opera so matching the feature sets found in those browsers may convert a proportion of IT-literate users. However, perhaps it would be better if Google targeted Chrome at the 92% of people who do not know what a browser is. See also: What is a Web Browser? No One Knows! Do you have any other ideas? Can Google persuade people to drop IE? Will Chrome just take market share from other browsers?